The Kent born rider finished 13th in race one on Saturday which netted him three points for his efforts, before an incident in Superpole left him unable to take to the grid for Sunday’s race. In race one the British Moriwaki Althea Honda Team rider got away well from twelfth on the grid in Race 1, but he slipped back to fourteenth through the opening stages, caught up in traffic. 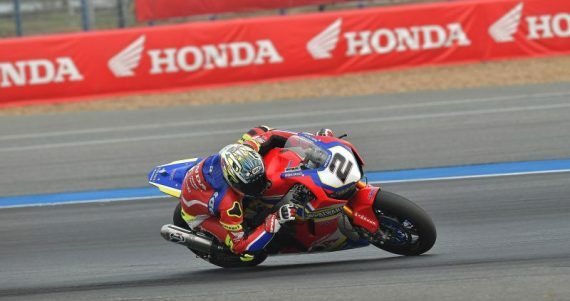 Speaking after race one, Camier said: “It was a tricky race to be honest. I made a good start and was really strong into turn three, I think I passed a few people around the outside, but then somebody in front of me touched and in reacting I fell back to at least fourteenth. 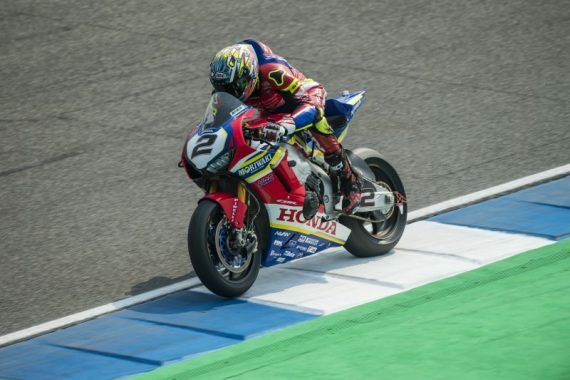 “Even though I was able to recover and slightly improve my pace lap by lap, something was not quite right and once I got close to the group in front, I was struggling more, and it became impossible to ride properly. 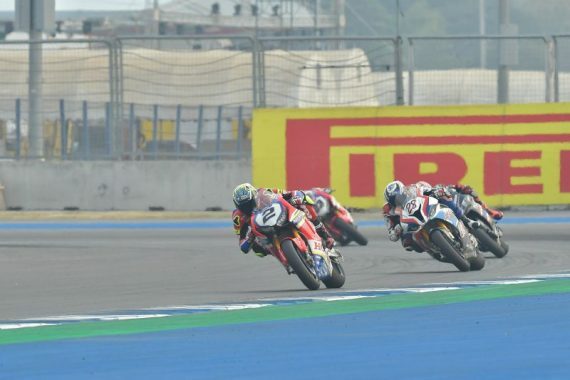 Speaking after the incident Camier, added: “I think Warokorn hit Mercado in front of me. He went down and I literally had nowhere to go and unfortunately I hit him and crashed. He seemed out in that moment, so I tried to get the race stopped immediately. I just hope he is ok. I also damaged my knee in the crash and so could not take part in Race 2. This entry was posted	on Monday, March 18th, 2019 at 9:00 am	and is filed under Featured, Motor Racing. You can follow any responses to this entry through the RSS 2.0 feed. Both comments and pings are currently closed.